Today (8 May 2018), the Independent Chief Inspector of Borders and Immigration, David Bolt, has published his report of the inspection of the Vulnerable Persons Resettlement Scheme (VPRS). The completed report was sent to the Home Secretary on 7 March 2018. "In September 2015, the Prime Minister committed the UK to resettling 20,000 refugees from the conflict in Syria by 2020. Departmental responsibility for meeting this commitment was shared between the Department for International Development (DfID), the Ministry of Housing, Communities and Local Government (MHCLG) and the Home Office, with the Home Office retaining primary responsibility for policy and operational delivery. "The 20,000 target represented a huge increase in resettlements and required a major and rapid upscaling of effort from all those involved, including the United Nations High Commissioner for Refugees (UNHCR) and International Organisation for Migration (IOM) as the key partner agencies on the ground in the region, and UK local authorities and their integration delivery partners. "Everyone deserves enormous credit for what they have managed to achieve so far, and in particular for the resettlement of over half of the target 20,000 refugees by the end of 2017. "This inspection examined the efficiency and effectiveness of the Vulnerable Persons Resettlement Scheme (the Scheme), looking at the dependencies and risks to successful delivery of the 20,000 target. It found that the processes on which the Scheme relied were essentially effective. "Identification of “the most vulnerable” refugees was delegated to UNHCR; consideration of referrals and matching of refugees to firm offers of accommodation and support was managed by the Home Office; the relocation of refugees to the UK was organised by IOM; and their reception, accommodation and initial support was led by the receiving local authorities. As a result, there is every reason to believe that the Scheme will achieve its 20,000 target by the government’s deadline of May 2020. "Given that the Scheme is delivering what it set out to achieve, it may seem ‘nit-picking’ to focus on where it could do better. 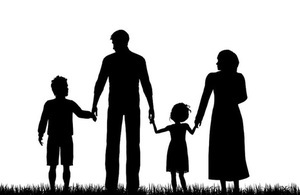 Nonetheless, subject to making necessary improvements to its data collection and management, the Home Office could do more to analyse and evaluate the various stages of the resettlement process, with a view to sharing ‘best practice’ and achieving greater consistency of treatment and outcomes. "It may be too soon to assess whether those already resettled via the Scheme have been successfully integrated in the UK. The Home Office is taking sensible steps to study this over the longer-term. However, there may be lessons for the pre-departure period and first years in the UK that, if identified now, could benefit those still in the early stages of the process. "Furthermore, while delivering the 20,000 on schedule is the Home Office’s overriding objective, it needs to be alive to the effects on others of gearing its processes to ensure it can achieve this, especially on those refugees told they have been selected for resettlement but who have to wait months for further news. The fact that UK resettlement process is quick when compared to other international schemes does not fully answer this concern. "My report makes 7 recommendations, of which the Home Office has “accepted” 2 and “partially accepted” 5. However, its formal response commits to few if any actions and disputes or rejects several of the report’s findings. As such, it appears closed to the idea that there is any room for improvement. While those responsible for delivering the VPRS have much to be proud of, this is disappointing, for the inspection process and, more importantly, for those relying on the Scheme."